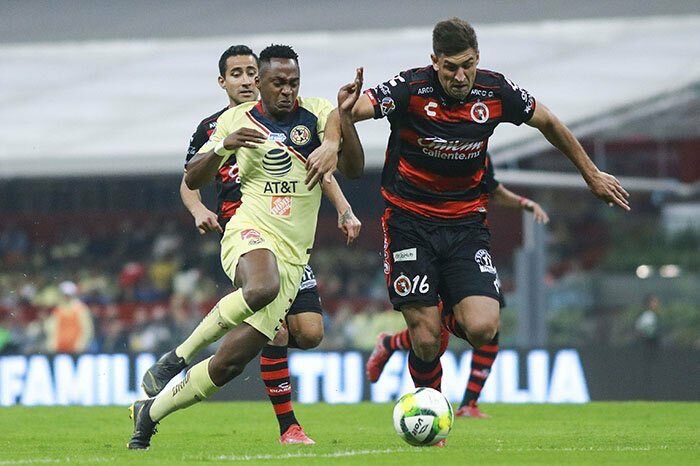 The Tijuana Xolos played to a 4-0 loss against Club America at the Estadio Azteca in the Copa MX semifinals this Tuesday, April 2. The Aztec Canines were the underdogs heading into the clash, but such a sizeable defeat was not expected. Oscar Pareja clearly showed that the Liga MX is of more importance to him with the lineup he presented for Club Tijuana. The Colombian manager started three youth players and benched the likes of Ariel Nahuelpan, Fabian Castillo and Gustavo Bou. Pareja still started some key players like Miller Bolanos and Gibran Lajud, but the alternate squad could not put up a decent fight against Club America. Miguel Herrera presented a very strong lineup for Las Aguilas that featured players like Renato Ibarra, Emanuel Aguilera and Guido Rodriguez. The Mexico City team had a really fast start as Guadalupe Clemente scored from a free kick in just the third minute of the encounter. The young attacking midfielder was an unlikely hero for the home team as Xolos’ goalkeeper Gibran Lajud could have done much better to stop the free kick. Club Tijuana’s already unlikely hopes in the match, shrunk even more as midfielder Kevin Balanta was given a red card in the 35th minute. Club America was able to take advantage of the extra man as Nicolas Benedetti extended Las Aguilas’ lead in the 40th minute. The Colombian midfielder made the Xolos’ backline look silly as he was gifted the ball by Juan Carlos Valenzuela near the penalty area and then went on to release a powerful shot that found the back of the net. The hosts had a 2-0 lead at halftime and down a man, the Xoloitzcuintles looked to have no chance of a comeback. The second half was not very exciting as Oscar Pareja brought on Fabian Castillo for Daniel Lopez to try and generate a spark, but the substitution did not end up making an impact. Pareja then went on to replace Antonio Nava with Julian Velazquez in the 70th minute and Luis Fuentes with Jesus Angulo in the 74th minute. 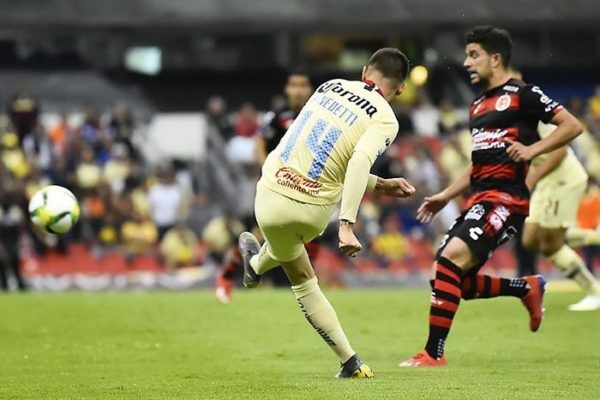 These changes actually went on to make a negative impact on the team as Club America was able to add to its lead in the final minutes of the game. Henry Martin scored from the penalty spot in the 84th minute then went on to score his second of the night just two minutes later in the 86th minute. The second goal made the Xolos’ backline look particularly silly as Martin scored from the floor after being brought down by Diego Braghieri. The game was one to forget for Oscar Pareja and company as the Border City Dogs will now look for revenge on Saturday night when Club America visits the Estadio Caliente. The semifinal finish was still a historic one for Club Tijuana as the team had never reached that stage of the Copa MX competition.